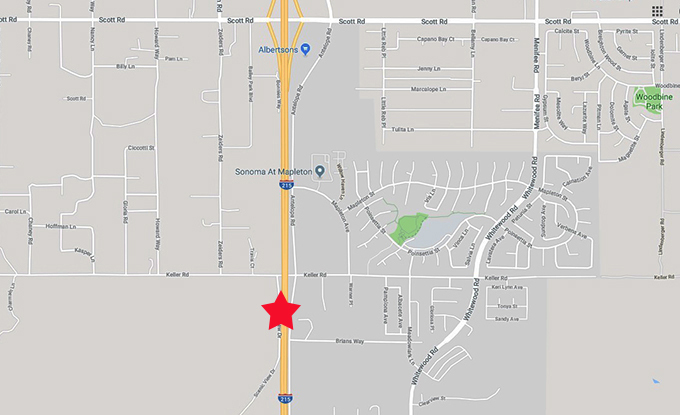 A Winchester man was killed early Saturday morning when he was struck by a big rig while walking in a southbound lane of the 215 Freeway, authorities said. Jacob Muckelrath, 31, was walking north in the middle of the No. 3 southbound lane near Keller Road just before 6 a.m., according to a CHP news release. He walked directly into the path of a tractor-trailer traveling about 55 mph. The truck struck the man and threw him onto the right shoulder of the freeway. The driver, a San Diego man, pulled over and cooperated with authorities. He was not cited. Muckelrath was transported to Inland Valley Medical Center, where he was pronounced dead. Authorities do not know why he was walking on the freeway.